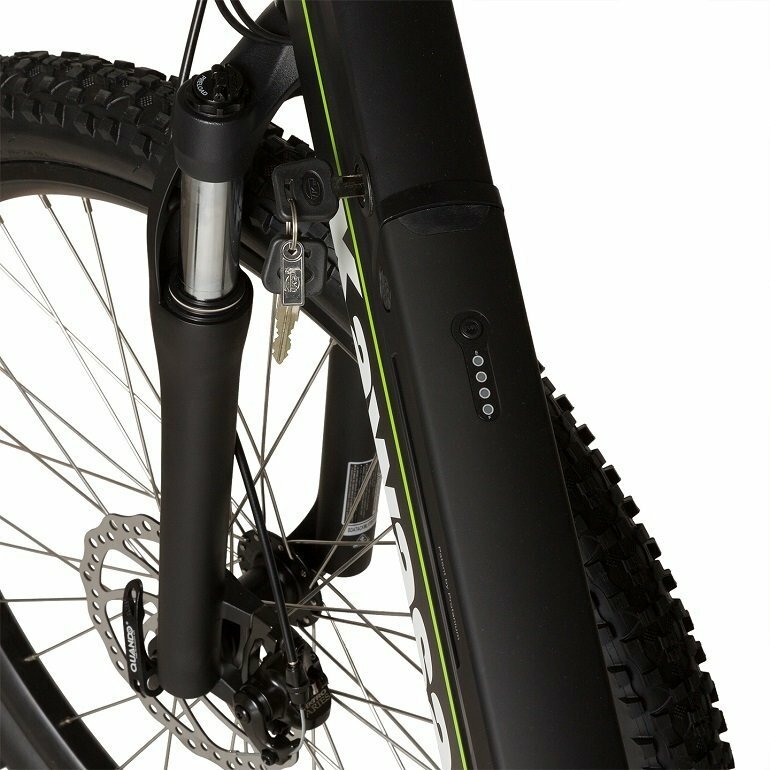 Being a distributor of consumer electronics devices, 4cv Mobile has introduced electrically powered premium class mountain bikes by Kawasaki to the Polish market. According to available studies, 6% of Poles commute to work or school by bicycle on a regular basis. That’s about a million people. This ratio amounts to 7.6% in the whole European Union, which means that we do not differ significantly from the EU average. On the other hand, over 20% of the sales volume is made up of electric bicycles in Western European countries, and over 30% in Benelux countries. Electrical two-wheelers do not enjoy such a high popularity in Poland, yet their sales are gradually growing at the same time. 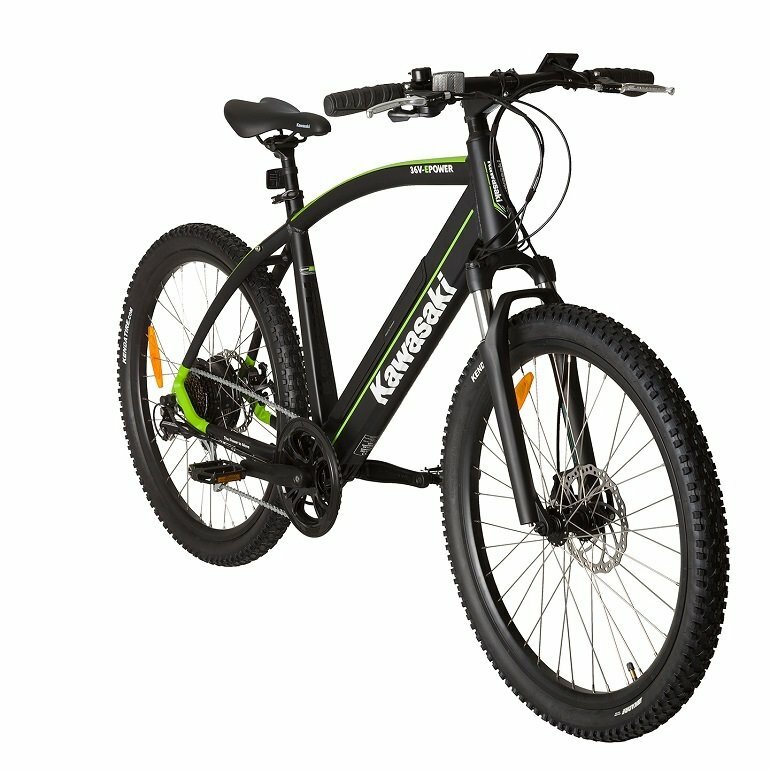 The International Bike Day is a good moment to present the Kawasaki Electric Trekking MTB model as the most modern electric bike by the renowned Kawasaki brand. The device is equipped with a 36-volt frame-integrated Panasonic battery with a capacity of 9Ah and an engine with a power of 250W. 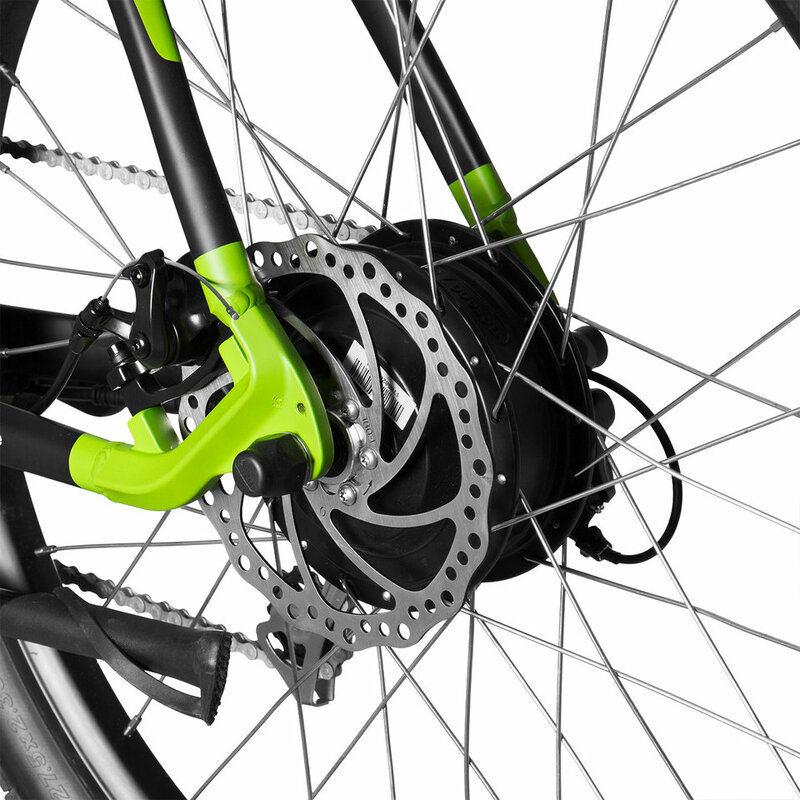 A shock-absorbing front fork, disc brakes and a Shimano derailleur gear facilitate off-road driving, while the power of the muscles is supported by electric drive, which allows to cover far greater distances and slopes much faster than when riding a standard bicycle. Similarly to the classic two-wheelers, Kawasaki Electric Trekking MTB has a universal 53cm frame, a handlebar and pedals. 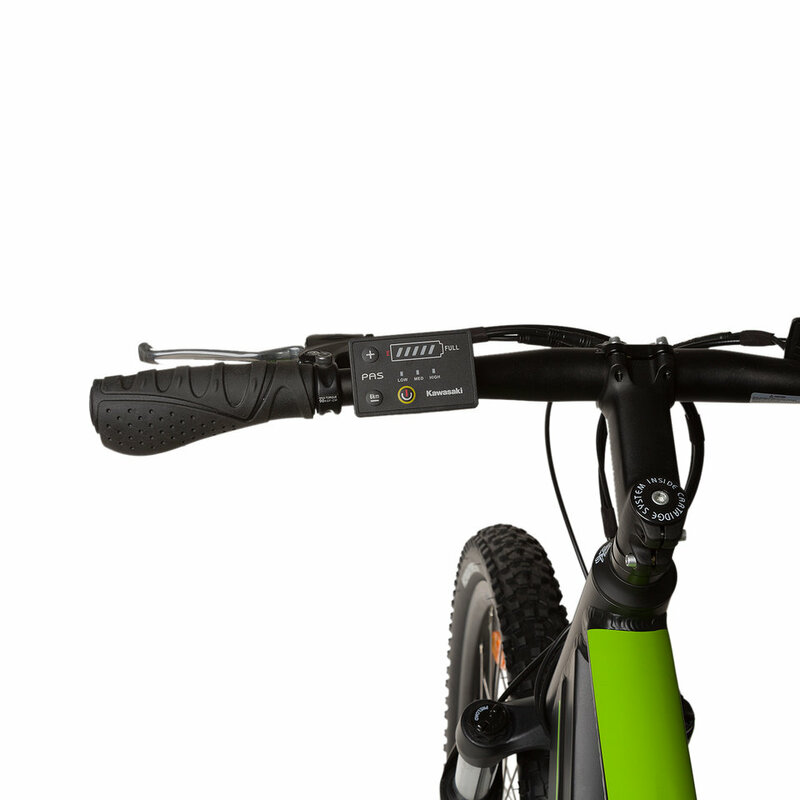 Placing the engine in the rear hub and integrating the battery with the frame cause that the electronics are not noticeable and it is hard to distinguish it from a traditional mountain bike at first. The Kawasaki Electric Trekking MTB model is distinguished by the WALK mode, thanks to which the bike moves independently at speeds up to 6 km/h. It is started with a special panel that allows you to enable the assisted steering and switch between the modes. There is also a LED display informing about the battery charge status. The Kawasaki electric bicycle costs PLN 6999 and is available in bmobile.pl online store as well as 4CV stationary store.